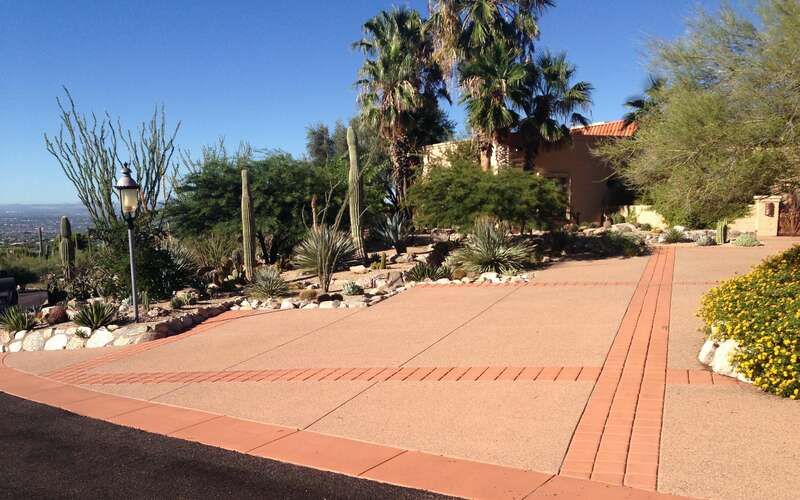 In this picture is a colored concrete exposed aggregate driveway with colored concrete decorative bands. The bands were done in a poured concrete and stamped in a tile pattern. The driveway was poured in a 3/8 exposed aggregate mix which was invented by Carson Concrete and is known as the “Carson Mix”.